Part of Meinl's Mb series which features three cymbal collections made from three separate alloys, the Mb8 is built with Menil's B8 metal. This line is the most aggressive of the Mb series with a trebled pitch, focused attack and highly polished brilliant finish. 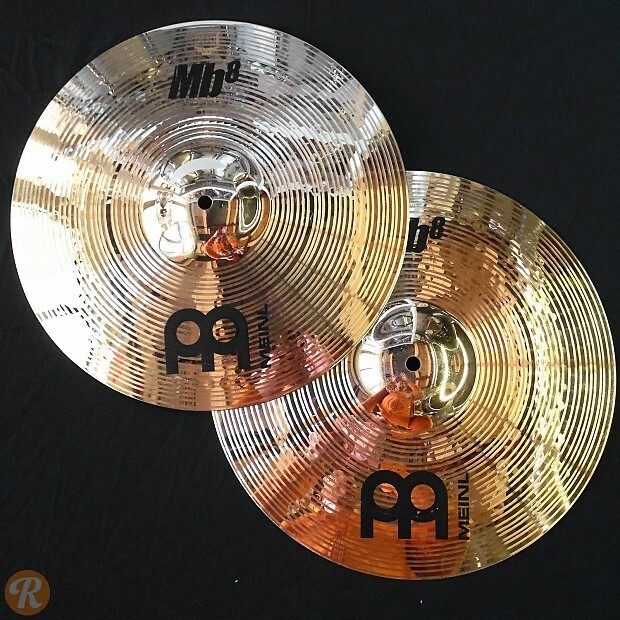 The Heavy Hi-Hat benefits from a more defined presence and louder wash due to the added weight on each cymbal.